Samsung Electronics announced that it will support three more projects to be spun off from C-Lab (Creative Lab), an in-house start-up incubation program. With the addition of AGWART, CATCH FLOW and FOR MAKERS, a total of 34 C-Lab alumni projects have now been launched as fully-fledged start-ups since 2015. AGWART created ‘PLANTBOX,’ an indoor smart garden solution that enables users to easily grow vegetables and herbs at home. 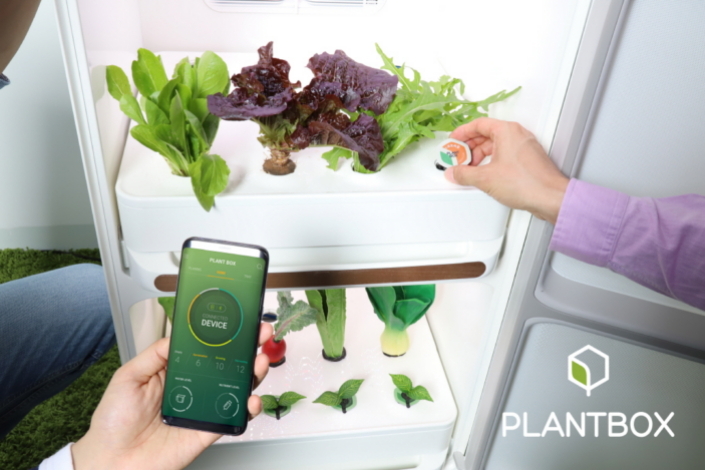 PLANTBOX consists of a smart greenhouse similar to a small refrigerator, seed capsules and an app. Users only need to insert the seed capsule of choice, and PLANTBOX automatically detects the species of the seed and optimizes its internal environment including lighting, temperature, humidity, air quality and nutrients. Users are also able to monitor and control the environment via app. CATCH FLOW developed ‘S-Ray,’ a portable directional speaker. Unlike conventional speakers which spread out sound in all directions, S-Ray sends the sound directly forward so only the people in the right direction can hear it. Overcoming technical difficulties from previous researches, CATCH FLOW was able to build a smaller, lighter device – only one tenth the size of a conventional directional speaker. 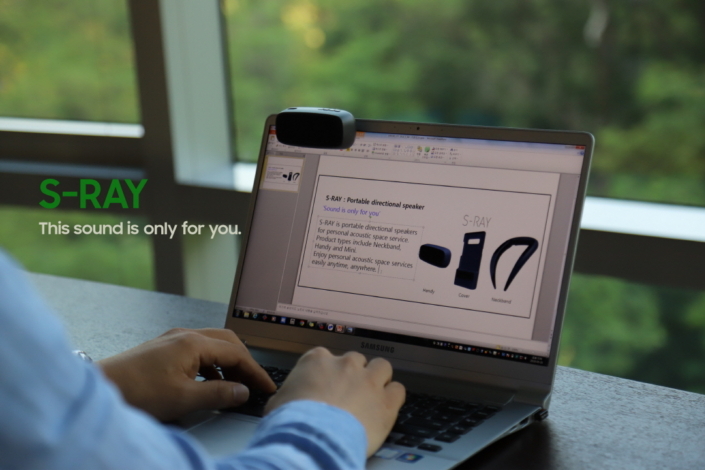 Compared to previous solutions, S-Ray also runs on lower power without impacting volume or sound quality. 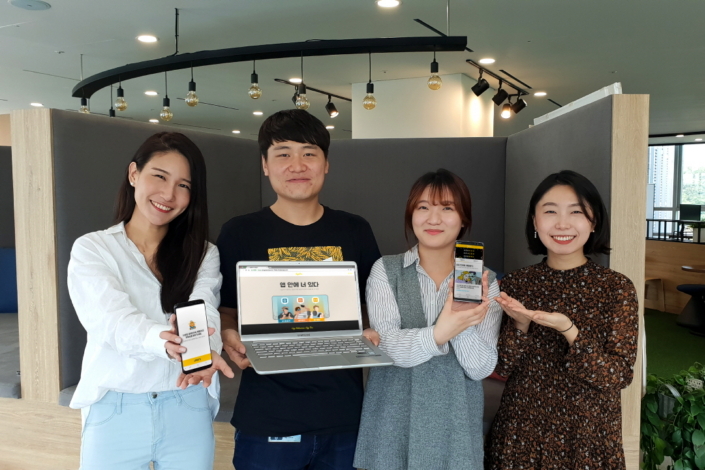 FOR MAKERS built ‘AppBee,’ a research platform that connects clients and users based on mobile usage patterns. AppBee, after users’ opt-in, predicts their characteristics by analysing their mobile usage patterns and automatically matches the users to suitable clients through AI-based algorithms. FOR MAKERS hopes to produce more reliable research results at a lower cost compared to conventional, untargeted surveys to enable creators – start-ups and large corporations alike – to refine products based on user feedback. The three new start-ups have engaged in business consulting and mentoring programs with field experts for the past three months, to obtain business know-how and prepare for the successful spinoff. They have officially left Samsung Electronics as of May 31, 2018. A number of C-Lab alumni are already proving to be fruitful. 2017 spin-off Monit will be launching its first commercial product ‘Monit by Huggies’ – a baby diaper sensor that distinguishes between urine and feces and notifies parents – in partnership with Yuhan-Kimberly this June. Monit is also planning to expand to inconsistence briefs for adults, for use in hospitals and senior care centers. Linkflow, which develops wearable cameras, saw its value increase 20-fold, after it was spun off in 2016. Linkflow’s FITT360 Security camera has especially been attracting attention from security companies around the world. Created in December 2012, C-Lab is an in-house idea incubation program that encourages a creative corporate culture and nurtures innovative ideas from Samsung employees. The program supports the development of ideas from all areas of the business. Introduced in 2015, the C-Lab spin-off policy helps Samsung employees who have successfully completed C-Lab projects to launch their own start-ups.